Crew Base Manager Wings For members who've held the Crew Base Manager position. -50 fpm Landing For pilots who register a landing rate of -50 fpm or better. -100 fpm Landing For pilots who register a landing rate of -100 fpm or better. -200 fpm Landing For pilots who register a landing rate of -200 fpm or better. -300 fpm Landing For pilots who register a landing rate of -300 fpm or better. -400 fpm Landing For pilots who register a landing rate of -400 fpm or better. -500 fpm Landing For pilots who register a landing rate of -500 fpm or better. 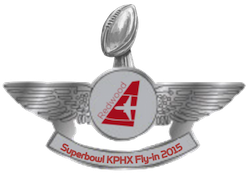 2015-01-19 MLK Day KIAH Fly-in event. First Flight Awarded when flight team members complete their first flight. 10 Flights Awarded when flight team members complete 10 flights. 20 Flights Awarded when flight team members complete 20 flights. 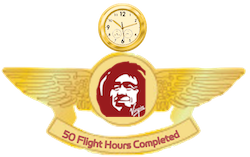 50 Flights Awarded when flight team members complete 50 flights. 100 Flights Awarded when flight team members complete 100 flights. 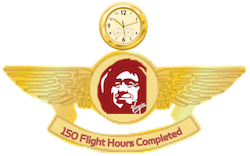 150 Flights Awarded when flight team members complete 150 flights. 200 Flights Awarded when flight team members complete 200 flights. 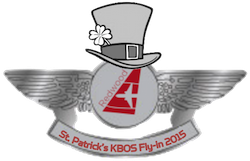 180 Days For flight team members who've completed 180 days of service with Redwood Virtual. 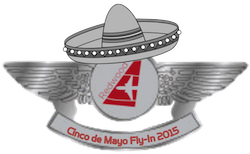 30 Days For flight team members who've completed 30 days of service with Redwood Virtual. 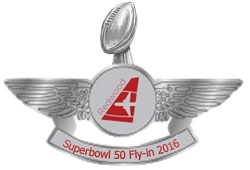 60 Days For flight team members who've completed 60 days of service with Redwood Virtual. 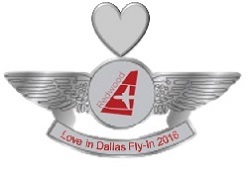 90 Days For flight team members who've completed 90 days of service with Redwood Virtual. 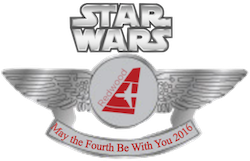 1 Year For flight team members who've completed 1 year of service with Redwood Virtual. 2 Years For flight team members who've completed 2 years of service with Redwood Virtual. 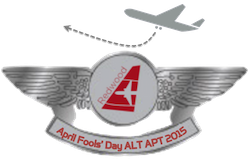 1,000 Miles Awarded when flight team members surpass 1,000 nautical flight miles. 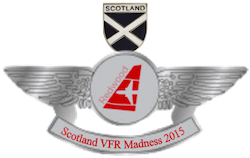 10,000 Miles Awarded when flight team members surpass 10,000 nautical flight miles. 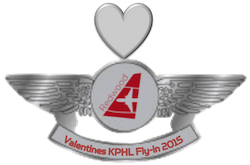 100,000 Miles Awarded when flight team members surpass 100,000 nautical flight miles. 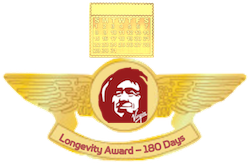 150,000 Miles Awarded when flight team members surpass 150,000 nautical flight miles. 25,000 Miles Awarded when flight team members surpass 25,000 nautical flight miles. 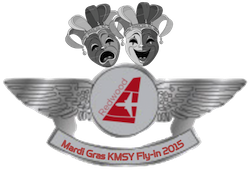 5,000 Miles Awarded when flight team members surpass 5,000 nautical flight miles. 50,000 Miles Awarded when flight team members surpass 50,000 nautical flight miles. Most Dangerous/Difficult For completing the Tour: Most Dangerous/Difficult Approaches.